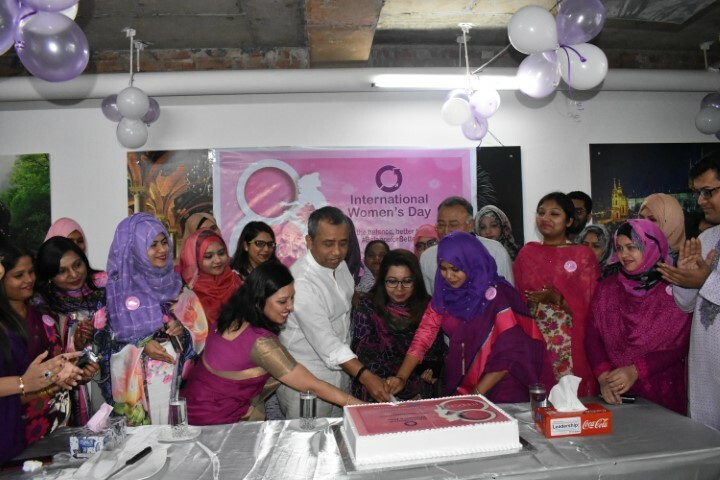 We have Celebrated Women-hood in Abdul Monem Ltd in accordance with a Special program on “Women’s Day” which was held at the corporate head office on the 9th March 2019. Our Honorable Deputy Managing Director- Mr A S M Mohiuddin Monem, Executive Director, Head of Marketing, AGM- Business Development & other high officials were present which made the event more successful and their presence was quite prestigious for us all & their valuable speeches were a cherry on the top. It is quite mentionable that AML is recognized for letting the women grow in their positions and flourishing their way up through leadership of power & taking essential steps for further betterments and developments. All the female employees of the corporate head office including the female senior leadership personnel were excited to join this happy occasion.